The First Quarter Moon occurred on the 20th, and the Full Moon will occur on the 27th. Tensions tend to have power dynamics at their root early today as Mercury opposes Pluto, dear Aries. People can be sensitive about their ideas or choices, and career or family drama is possible. If you can, focus on organizing around the home, as this will help you feel freer in your work, where you can use as much head-clearing as possible. There can be a struggle between personal and professional responsibilities, and working on finding a better balance will be particularly helpful now. Learning more about your more profound needs can help clarify your long-term and career goals. With the events and realizations of this week, you may recognize that you’re clinging too tightly to your ambitions. In fact, relaxing them a little can help bring you back to a better work-life balance. Later today, insecurities can emerge as you wrestle with going your own way versus maintaining the status quo. Others can be cranky, but try not to take on too many problems that are not your own. You’ll quickly recognize the need for a mission today, even if it’s a modest one. 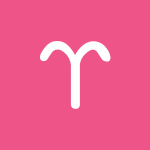 Differences of opinions or with methods can quickly become tense this morning, dear Taurus, as they may represent something more than what is on the surface. In fact, your feeling of being accepted by others may be in question. A Mercury-Pluto opposition early today triggers fears of losing someone’s admiration or pulls up fears of making changes. Holding onto an opinion too tightly now will prevent you from going forward, growing, and moving on. If someone can’t seem to see what you’re seeing, avoid pushing the matter. However, if you need to get frustrations out of your system, then a confrontation may force the issue. The best thing you can do for yourself under this influence is to aim to let something go, as resentment can rob you of happiness and energy. Watch for spiraling negative thoughts that serve no useful purpose. A Sun-Chiron square later today suggests you may feel overlooked or otherwise in the background. You could be dealing with guilt about things you’re not accomplishing. Insecurities can be a problem today, but learning from them is also very possible and wholly worthwhile. Early today, people around you can be defensive or feel the need to prove something, dear Gemini, as Mercury opposes Pluto. Pushing for answers is a strong tendency under this influence but can also be problematic. Arguments over ownership, money, core values, or boundaries can emerge now. For some of you, money or support problems that have been weighing you down could reach a turning point. If you’ve been feeling undervalued, frustrations can come to a head now. Keep in mind that compromise would be ideal, but getting there involves giving a little, so be willing. Later today, a Sun-Chiron square can stimulate insecurities related to a friend, group, or finances. Watch that you don’t go along with others’ plans just for the sake of keeping the peace, all the while ignoring your inner voice. There can be some feeling of lack of loyalty and general distrust around us, making it a less than ideal day for pushing your agenda or for trying to repair relationships. Keep an open mind and aim to learn about yourself if something touches a nerve. 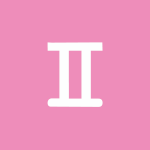 Early today, Mercury in your sign opposes Pluto, dear Cancer, and this can point to communications with double meanings. You may feel challenged regarding your plans or ideas, encounter resistance from others, or become frustrated if someone is attempting to control you or direct you when you’d rather be free to express yourself spontaneously. You could feel blocked and vetoed now. Avoid a tug of war, but if a problem is out of hand, this can be a time when the issue is forced. Conflicts emerging today can give you insight into some of the hidden forces at work in your life that may be undermining your progress and keeping you from moving on and forward. Later today, the Sun forms a square to Chiron, and the demands of career, family, parents, or other responsibilities have a way of making themselves known. While you can be very sensitive to expectations and limitations, you may lack the confidence to do something about it just for now. This may not be the best time for big decisions, but you can certainly learn from any triggers or frustrations today and make plans to effect change at a later date. 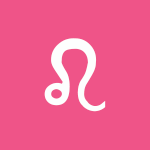 You need more rest and time to think outside of the routine these days, dear Leo, but you also have strong ambitions related to work or health, and it can be difficult to unwind as a result. Something that’s communicated can cause quite a stir early today as Mercury and Pluto oppose one another along your sixth-twelfth house axis. Power plays can occur with those you work with, or you could feel a lot of pressure to get things done, even if your heart isn’t in it or you are not feeling up to par emotionally and physically. This makes it very challenging to unwind. Problems related to micromanaging specific areas of your life can reach a head now (and again in the next couple of weeks). Avoid allowing fear or over-attachment hijack your morning. Make plans to improve your routines and workload so that you have the chance to unplug and shut things off from time to time! Later today, a Sun-Chiron square can turn the focus to disappointments or unresolved problems from the past. Try not to take others’ views too personally and resolve to learn from those things that trigger feelings of vulnerability. 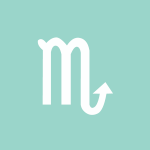 This morning, your ruling planet, Mercury, is opposed by Pluto, dear Virgo, challenging you to confront problem areas. Tensions and pressures from others, and especially in love and friendship, can be the issue now, and there can be some obsessiveness involved. Alternatively, you can experience this as an internal tug of war — you may be flip-flopping between a strong desire to get to the truth of a matter and a fear of doing so. Or you may have far too much on your plate, but you’re reticent about getting others onboard to help you. The goal now should be to purge, release, and let go. You’re likely holding onto something too tightly, and it can’t breathe! Remind yourself that this keeps you stagnant and stuck. The goal now should be to empower yourself. The day’s energies don’t get more comfortable as it progresses, but it’s nothing you can’t handle. Some of you could be confused about feelings in a relationship and/or support (financial or otherwise). Boundaries may be crossed, and it could be challenging to know how, when, and if to make them clear. This morning, fears of being blindsided can lead to frustrating scenarios or tensions, dear Libra, with Mercury in opposition to Pluto. Buried frustrations that have been simmering just below the surface, primarily related to family, home, security, and money, can now emerge, likely through conversations. Secrets might be revealed, or previously hidden matters can come to light now that might be uncomfortable at first, but in the long run, will push you towards the light. It’s better for you to get things out in the open. Aim to unload rather than dig in your heels. As the day advances, you could be dealing with insecurities related to your performance, meeting responsibilities, or your close relationships. Avoid trying too hard to please people, which might, quite unintentionally, make them uncomfortable. Serve yourself, also, by meeting others halfway, as this protects you from growing resentments. You may need to work on asserting yourself more effectively with a partner. Hone in on weaknesses or vulnerabilities that need attention and aim to learn from them. 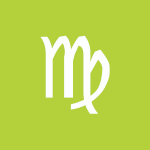 There can be fear of change at the root of disagreements or tensions early today, dear Scorpio, as Mercury opposes Pluto. Differences of opinion can escalate now as others may be clinging to their views, or you could feel offended if they’re not embracing your ideas or trusting what you say. You’re challenged to grow through your conversations or exposure to different or new ideas, opinions, and methods. Remember that there are no winners in arguments where growth potential is nil. Problems related to communications, learning, or transportation can come to a head now. Challenge yourself to reframe your thinking rather than hold onto an idea or belief for dear life. As the day advances, it may be all too easy for others to touch upon your sore spots, although the result may be that you take necessary actions to firm up a vulnerable area of your life. 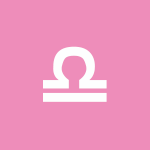 The Moon spends the day in your sign, reinforcing both your sensitivity and courage. 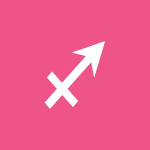 Strong feelings about core values, power dynamics, money, and issues of sharing or ownership can be voiced or reach a boiling point early today, dear Sagittarius, as Mercury and Pluto form an opposition. If something feels unfair, then you need to talk about it, but your choice of words and tone will be especially important now as we tend to take communications personally today. Alternatively, there can be quite a bit of stirred-up tension surrounding borrowing and lending or relationships can feel some strain if there have been imbalances and resentment brewing over them. Embrace rather than resist change and opportunities to grow, and aim to rise above suspicious thoughts today. Releasing yourself from excessive attachments can figure strongly and can be rewarding. 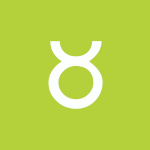 As the day advances, the Sun square Chiron influence can continue to complicate feelings and emotional attachments. The general temptation is to go along with whatever we feel makes others happy or appeases them, but this can only lead to problems down the road. Insecurities can surface now, but doubts can also motivate you to take action and resolve dilemmas. 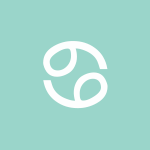 It can be all too easy to get involved in a tug of war with someone early today with Mercury in your partnership sector in opposition to Pluto in your sign, dear Capricorn. It’s all too easy to take differences of opinion or methods personally. Do your best not to attempt to mastermind a situation if you feel something or someone is out of your control. The temptation to do so runs high today but leads to nothing positive! You’ll feel more empowered if you aim to stay open, flexible, and focused on your own growth rather than worried about what others are saying and doing. As the day advances, another tense aspect occurs, and problems in the home or with family are best sorted out openly and honestly. The temptation may be to use a band-aid approach, but it’s best to look a little deeper and work on the root of issues. A partner may seem to be pushing your buttons. Identify your limits concerning when you feel put upon before they’re exceeded. 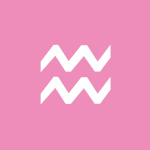 A Mercury-Pluto opposition this morning can pull up tensions and fears, dear Aquarius, particularly guilty feelings about the past or about what you’re NOT doing. You could be thinking about and revisiting old hurts. There’s a reason for this, as it may very well be time to put those things behind you. Something that has been hidden or buried can emerge now, and it’s best to be mindful of the possibility of this happening so that it’s not disruptive. In fact, it can be very revealing and can lead to important discoveries about your feelings and fears. Try to avoid allowing spiraling thoughts drive decision-making or lead to regrettable words. As the day advances, watch for appeasing people just for the sake of keeping the peace, as this can backfire on you. The energy of the day is hypersensitive all around, and there may be some bad timing with conversations or scheduling matters. Even so, there are some wonderful spots throughout the day for seeing the beauty in our imperfections. 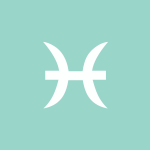 With Mercury in opposition to Pluto this morning, dear Pisces, people may be holding on too tightly to their point of view. As the day advances, the Sun forms a square to Chiron, pulling up insecurities and also interfering with healthy, growth-oriented interactions. Power tripping can be a problem today, particularly in your social life. Uncertainties in relationships can be magnified, or difficulties in a friendship can reach a head. Mixed signals with friends and lovers are possible. You can have a difficult time enjoying either leisure time or work, as there is a sense that you have to choose one or the other, when in fact you may be able to combine the two creatively. Resentment robs you of energy, so do what you can to release and purge rather than hold onto negative feelings. Aim to learn about vulnerable areas that seem to be easily triggered today. Above are astrological event highlights for the day. Full Horoscopes are at Cafe Astrology. 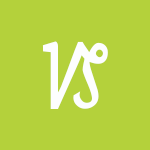 If Your Birthday is June 23rd, If Today is Your Birthday full horoscope here. We can experience pressure to come to a conclusion or decision. Second-guessing and suspicion are possible now. We may be intent on force-feeding our ideas on someone, or encounter people who seem to want us to adopt their beliefs or point of view. There can be pushiness experienced. A new, possibly uncomfortable, perspective on a matter can emerge now. You have Meryl Streep born on June 22 & June 23. Why? The date advanced to the 23rd but the birthday block was still at June 22nd. It should be fine now. Moon 13° Scorpio 03' 38"